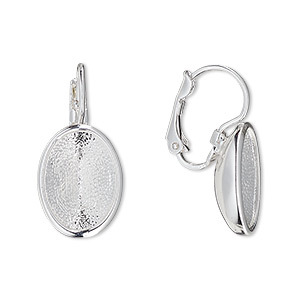 Ear wire, silver-plated brass, 17mm leverback with 5mm cup and open loop. Sold per pkg of 50 pairs. 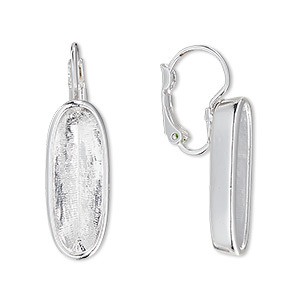 Item Number: H20-8545FD Have a question about this item? 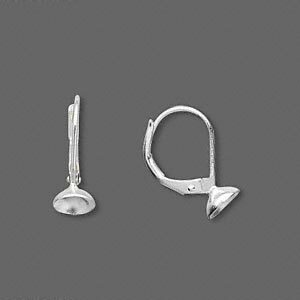 Leverback ear wires with silver-plating feature a loop and 5mm cup for a variety of embellishment options. 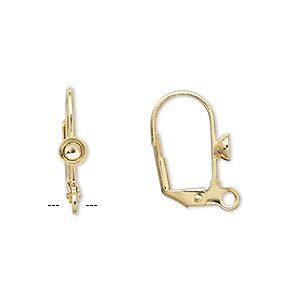 Leverback ear wires are designed with a wider opening and strong hinged closure for durability with style. 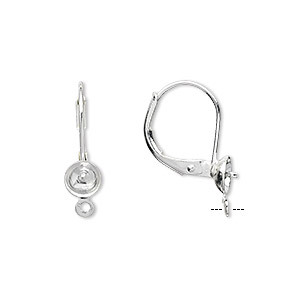 Ear wire, silver-plated brass, 17mm leverback with 5mm cup and open loop, fits 5-7mm bead. Sold per pkg of 5 pairs. 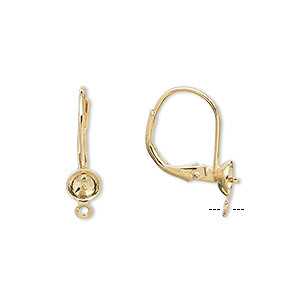 Ear wire, silver-plated brass, 15mm leverback with 4mm cup and peg, fits 3-5mm bead. Sold per pkg of 50 pairs. 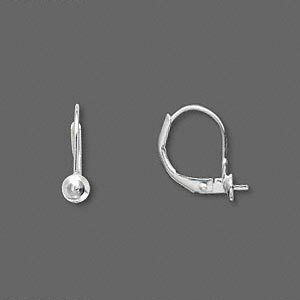 Ear wire, silver-plated brass, 16mm leverback with 6mm cup. Sold per pkg of 50 pairs. 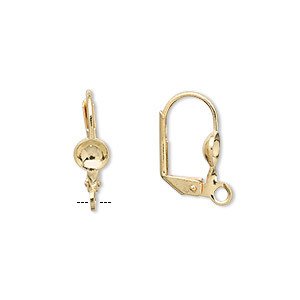 Ear wire, gold-plated brass, 18mm leverback with 4mm cup and open loop. Sold per pkg of 50 pairs.